I'm a Melbourne girl, born and bred, and new resident of Geelong. Fantabulous adventures await as I explore my gorgeous new city and the stunning Surf Coast. But don’t worry—I’ll be crossing the bridge regularly to get my Melbourne fix. There's just something about trains—steam trains in particular—that captivate us, enchant us, make us reminisce about times gone by and dream of far-away places. But the little ones in our lives don't need a far-flung place in an exotic corner of the world to experience the joy that an old-fashioned stream train can bring. A ride or two on a Sunday afternoon at the Mooroolbark Miniature Railway will enchant them just as much, as well as captivating the rest of us as we watch their smiling faces and hear their squeals of glee. The Mooroolbark and District Miniature Railway and Steam Club Inc was established in 1980 with a group of around 25 members, some of who are (rather incredibly) still members today. 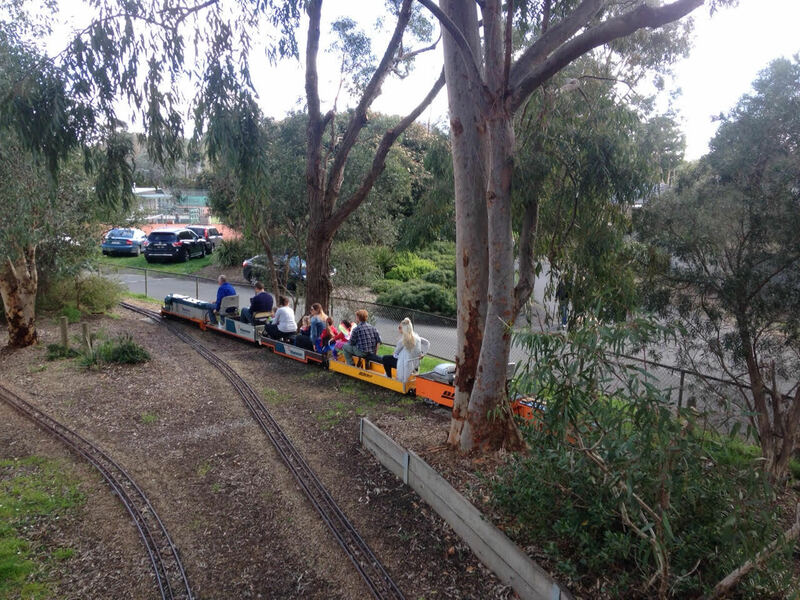 The miniature railway, located in Kiloran Reserve, Mooroolbark, opened for its first public run in 1983, and the miniature trains have been toot-toot-tooting along ever since. 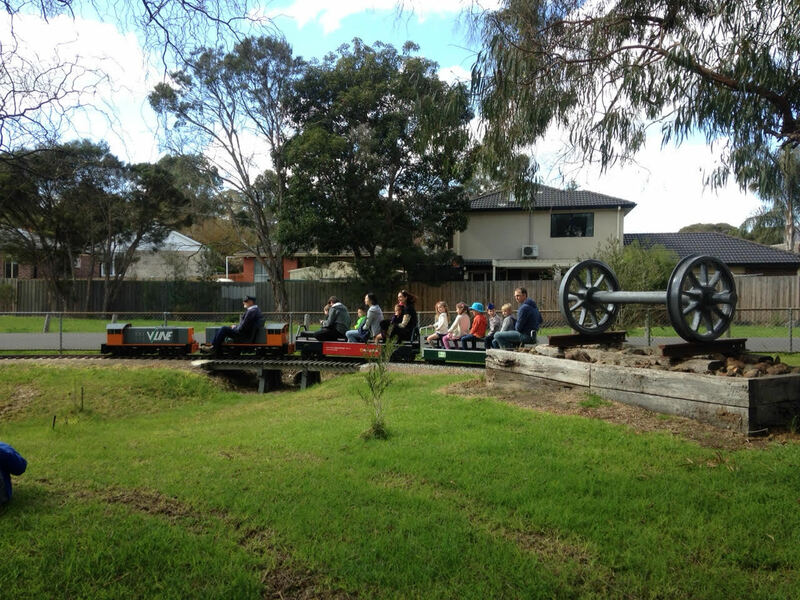 Miniature train rides are run on the fourth Sunday of each month (except for December), with trains running continuously throughout the day from 11.00am to 4.00pm. 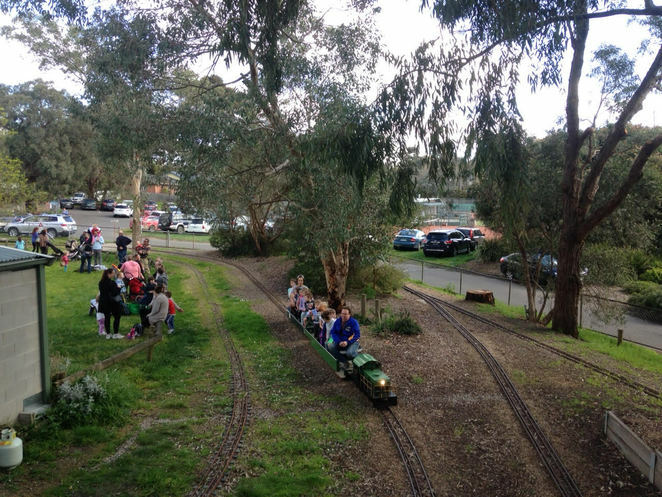 There are multiple trains operating on each run day (depending on numbers), and rides are only $2.50 per person, and free for children under four (who ride with a paying adult). Different trains run on different days, so if your little one is a tad train obsessed, be sure to make regular visits so you can experience the full range of locomotives the club lovingly maintain. 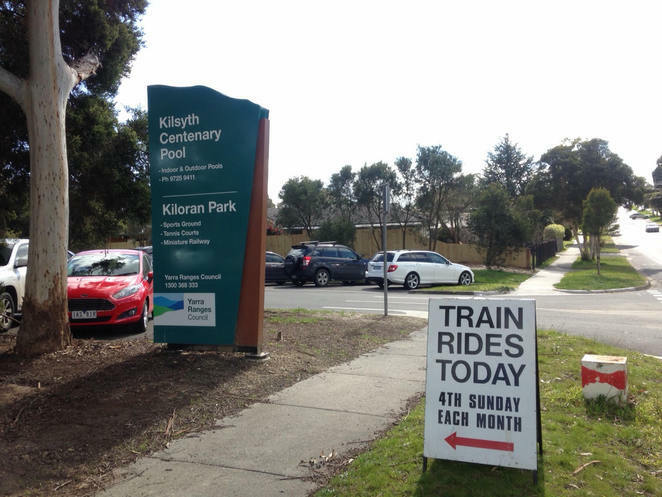 The leafy gardens of Kiloran Reserve are the perfect setting for the miniature railway, with plenty of room to bring your picnic blankets and fold-up chairs to while away the afternoon listening to the clack-clack and toot-toot of the trains as they crisscross their way around the tracks. You can even bring your own portable barbecues to really set yourself up for the day, or if you only have time for a quick visit, a sausage sizzle and refreshments are available for sale from the little hut just inside the tracks—and sausages and onions in white bread with a bit of tomato sauce will never fail to be the perfect accompaniment to a leisurely Sunday afternoon frolic among the little trains. There's plenty of green grass to set up some tables and chairs, or throw a picnic rug on the lawn. Or stop on by the refreshment hut to snag yourself and the kids a sausage or two. 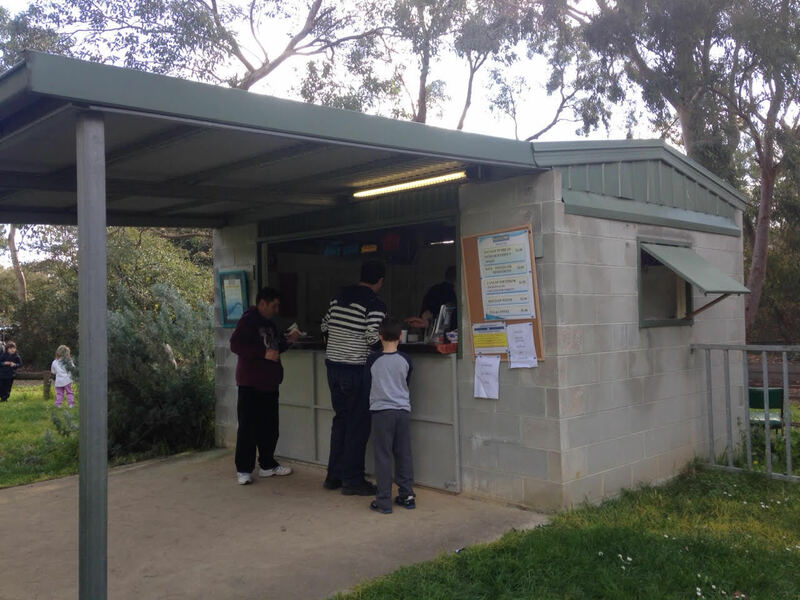 The friendly volunteers will gladly serve you up some sausages and bread - with a glimpse of the little trains gliding by through the back door of the hut. The miniature railway is ideal for birthday parties, and on our recent visit, the place was brimming with birthday fun. 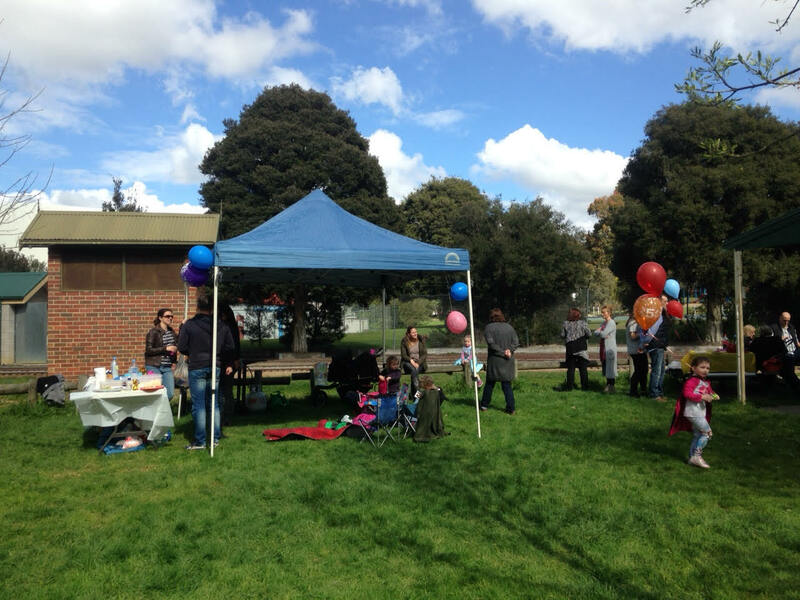 Balloons and streamers were tied to the bring-your-own canvas shelter-tent-things dotted around the tracks, paper train cut-outs hung from the sides of chairs and train-themed birthday cakes (straight from the pages of the Women's Weekly Birthday Cake Cookbook) took centre stage on plastic tables decorated with Thomas the Tank Engine tablecloths. Brightly wrapped birthday presents were piled high next to Eskies and picnic hampers, plates of fairy bread and bowls of potato chips and lollies and tiered cupcake stands wobbled on fold-up tables, and kids in party hats and tutus and Spiderman costumes sat in circles playing pass-the-parcel in between their turn to ride the funny little trains. 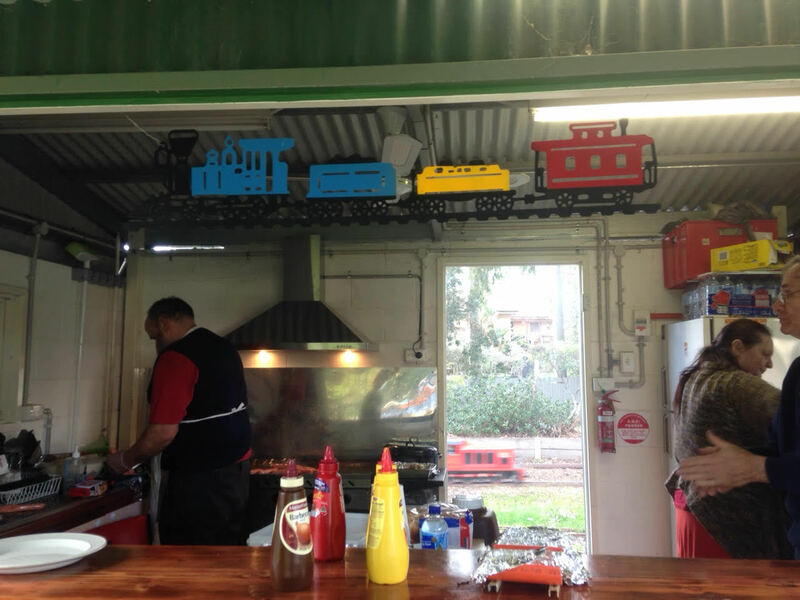 The perfect place for a birthday party for your train-obsessed little ones. 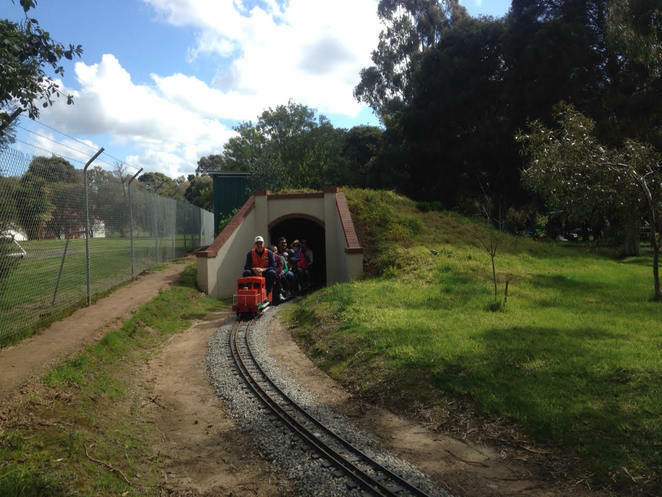 The club is run entirely by a team of dedicated volunteers, and whilst the public rides on a Sunday are undoubtedly the highlight, the club members are also involved in other stream train related activities, including maintenance of the trains and tracks, and construction of other engineering and locomotive items. 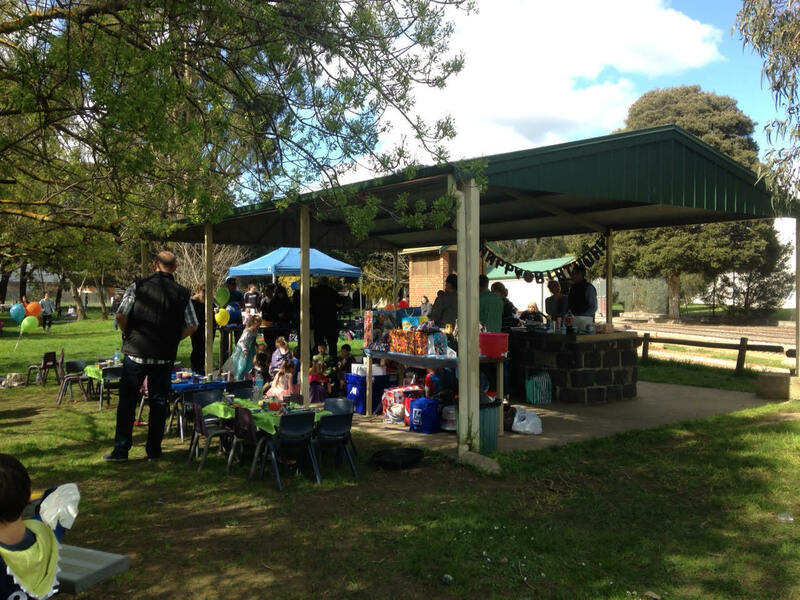 The club is always on the lookout for new members, and monthly meetings are held at the clubrooms on the second Saturday of each month. The railway is entirely run by volunteers, including the ticket sellers, the friendly train drivers and the conductors! 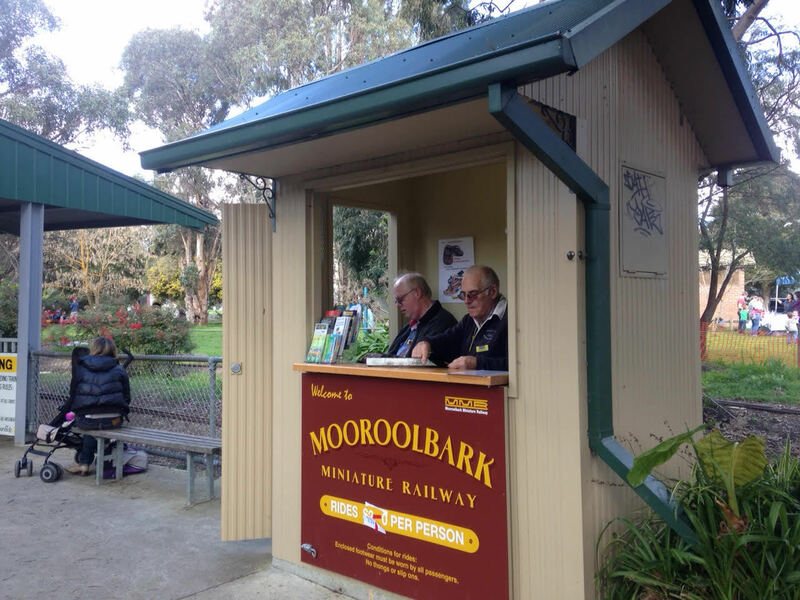 An afternoon at the Mooroolbark Miniature Railway is like visiting a whimsical place where time stands still. 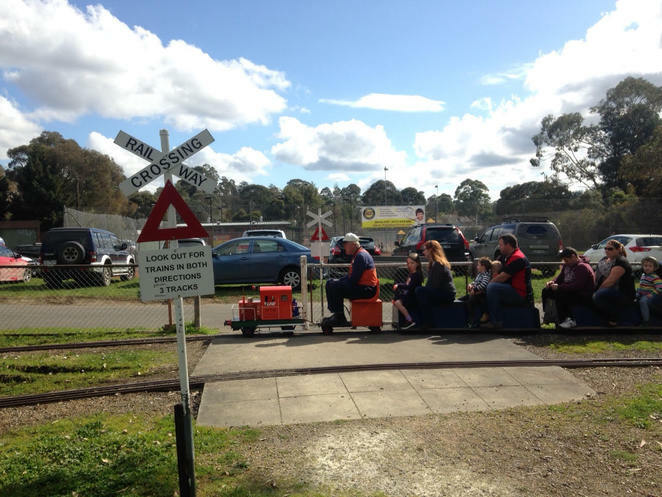 Indeed, the volunteers may be a little older and greyer, the tracks a little more in need of regular maintenance and the trees surrounding the reserve considerably taller, but the simple pleasure of riding a little steam train is timeless. 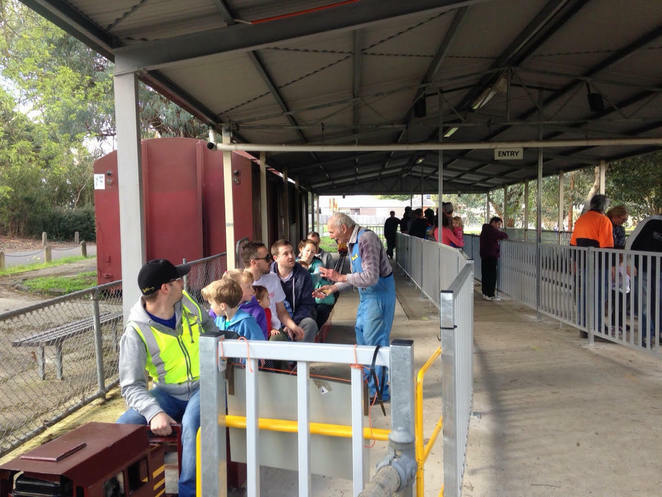 Those who grew up visiting the railway are now bringing their own children, enjoying the same, age-old fun that they too experienced some twenty or thirty years ago. 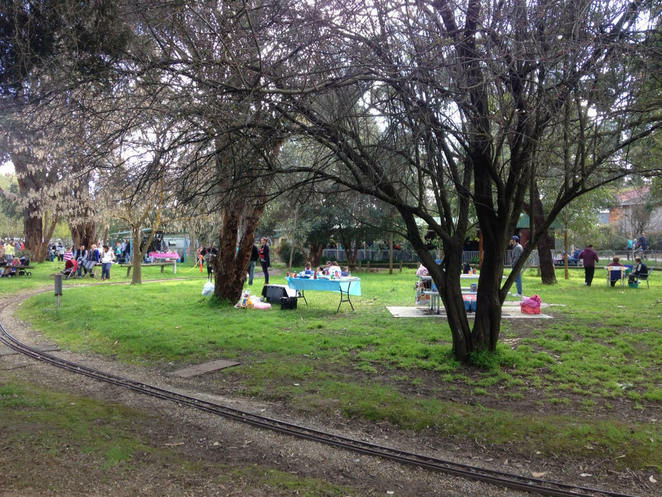 And going by the crowds of happy families that filled Kiloran Reserve this recent Sunday afternoon, the tradition is set to continue for years to come. Now, if only it were a little more acceptable for adults to ride miniature trains, I might just book my own birthday party at Mooroolbark Miniature Railway (along with a fancy train birthday cake too of course...).